A range of Plain Polymer Bearings in diameters to match the bores of our Gears, Pulleys and Sprockets and the outside diameters of ourShafts. These bearings are light and durable, require no lubrication and are insensitive to dirt. 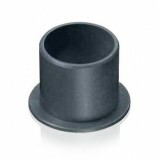 Select from our range of Plain Polymer Bearings below. Plain Polymer Flange Bearing, 3mm Bore, 4.5mm O/D, 5mm length.. Plain Polymer Flange Bearing, 4mm Bore, 5.5mm O/D, 6mm length .. Plain Polymer Flange Bearing, 5mm Bore, 7mm O/D, 5mm length .. 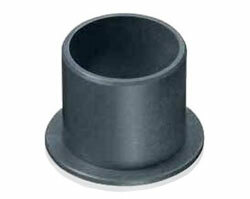 Plain Polymer Flange Bearing, 6mm Bore, 8mm O/D, 8mm length .. Plain Polymer Flange Bearing, 8mm Bore, 10mm O/D, 10mm length.. Plain Polymer Flange Bearing, 10mm Bore, 12mm O/D, 12mm length .. Plain Polymer Flange Bearing, 12mm Bore, 14mm O/D, 12mm length..